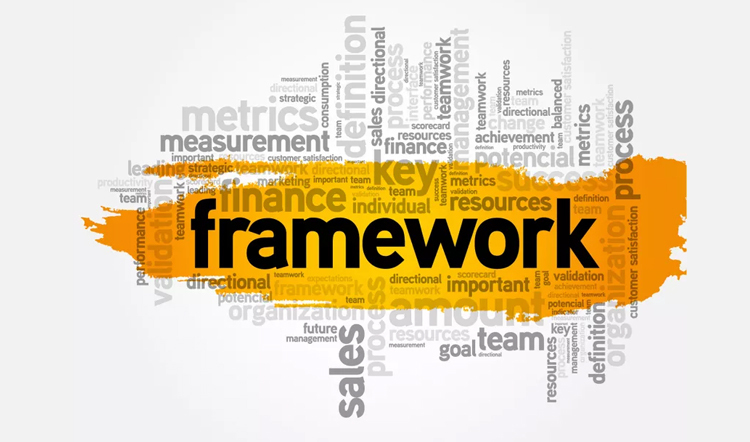 A framework refers to software framework or web framework which is designed for supporting the development of web resources, web services and web APIs. It can also be defined as a systematized set of practices, concepts and criteria for dealing with some common problems which can be used as a reference for helping us in approaching and resolving new problems of same nature. The main aim of the framework is to self-regulate the overhead which is associated with the common activities which are performed during the process of web development. The frameworks provide a common structure so that the developers do not have to repeat it from the scratch and reuse the code which is provided. It cuts down most of the work and also saves a lot of time. There are many frameworks that come with the authorization and authentication frameworks. These frameworks enable the web server so that they can easily identify the people who are using that application and restrict the access for some specific functions that are based on some explained criteria. Drupal is a perfect example of it. It is a web application framework which provides a role-based access to some pages and also provides an established interface to create users and assign them their roles. There are certain web frameworks that create a united API in order to create a database backend. It allows the web apps to work by using a variety of databases without making any changes in the code. Eventually, it gives full authority to the user to work with high-level concepts. Usually, the frameworks are meant to set the control flow of a program and also allows the users of the framework to easily get involved in that particular flow by exposing different events. There are certain frameworks which also provide tools to create and provide web services. These may also offer some tools which are quite similar to the new ones provided by the other web applications. Some frameworks also provide a mechanism for storing documents and cross the stages of the page’s perception. This includes the template interpretation and database access. Security- A framework which is extensively utilized has big security applications. The major benefit of the frameworks is that the users most often end up in being the long-lasting testers. So, in case you ever find some kind of malware, you can easily go to the website of the framework and let the team fix it. Efficiency- Web development is a job which takes an ample amount of time and thousands of code lines to compose. With the help of frameworks, it can now be easily done quickly with the pre-built features. Support- Like any other distributed tool, frameworks also include documents, online community and a support group. You can get the quick responses at the online forums. So, now as we know what frameworks is all about, we can easily say that in 2018, it has been a boon for every web developer. It has made the thing easy and convenient and will continue doing it in the coming years.